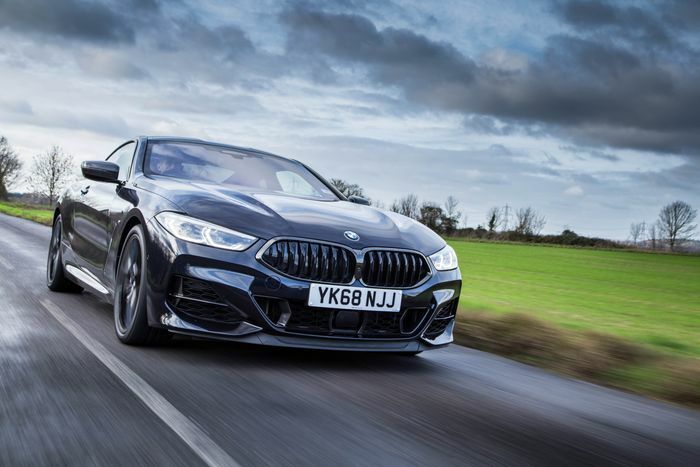 BMW M850i Review: Do We Even Need An M8? It’s hard not to get distracted by one particularly impressive number here: 3.7. 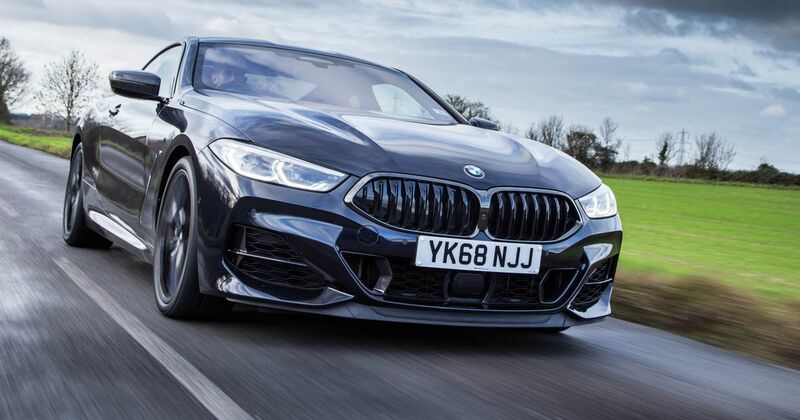 That’s how many seconds it requires the BMW M850i to fire its 2090kg off the line and to 62mph. That’s patently absurd, isn’t it? It makes this M Performance car faster than anything from M Division ever, save for the most recent M5. It makes it faster than all kinds of supercars from not particularly long ago. And, having now driven one, I can absolutely believe the statistics. It’s not like there’s even a dollop of lag from the 4.4-litre twin-turbo V8 to prepare you from the coming assault - it’s an incredibly responsive unit. I find myself missing big N/A engines less and less these days, and it’s thanks to cars like the M850i. Plus, it makes a great noise. It sounds quite different to the M5, which uses the same engine in a different state of tune and with the unusual equal-length exhaust manifold that makes it sound a bit like it has a flat-plane crank. 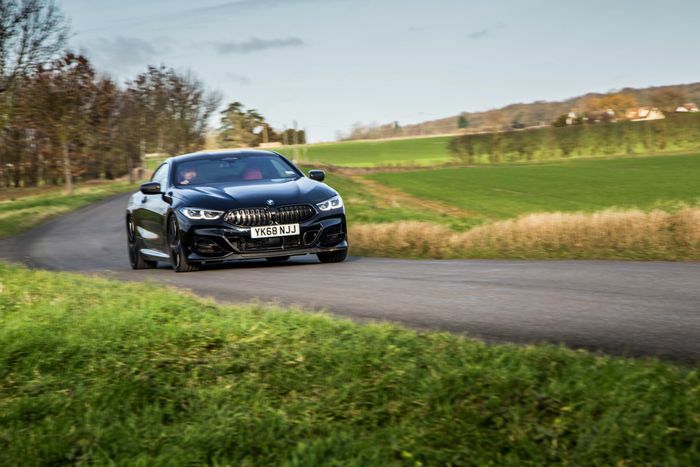 The M850i gets a more conventional arrangement which makes for a burbly, almost pushrod V8-esque noise. It’s one that seems to have been artificially augmented, but for once, I don’t mind - it’s actually a nice and natural-sounding addition. Show it a corner and the M850i will sit on the fence. By that I don’t mean it’ll spit you off the road and land in someone’s front garden - no, I’m referring to the car’s apparently inability to decide one way or the other what it is. It’s a wafty thing no matter which mode you’re in, but not as floaty as something like a Bentley Continental GT or a Mercedes-AMG S63 Coupe. It’s up for being thrown around and has an all-wheel drive system that’s always keen to push the rear end out, but it’s no sports car either. Like I said: it’s on the fence. The steering’s neither bad nor a standout feature - it’s fast, about right weight-wise if you steer clear of the sport steering mode, which isn’t very nice. The wheel itself is weirdly fat as it is in many modern BMWs, but you don’t get used this eventually. 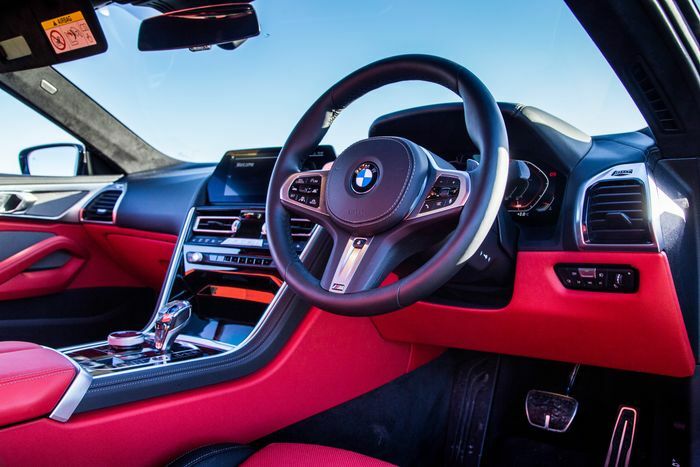 While we’re taking a look inside, it’s worth pointing out that despite its vast exterior dimensions, the M850i’s interior is weirdly cosy. You don’t even get a particularly big boot, hampering the car’s GT credentials. And the cabin just doesn’t feel as special as it perhaps should for a car that’s knocking on the door of £100,000, or in the case of this one, nearly £110,000 after options. There’s nothing to grumble about particularly, it just doesn’t seem like a huge step up from a well-specced 5-series. Which inevitably means I have to name-drop the M5. It’s no less plush, is cheaper, and is more exciting. 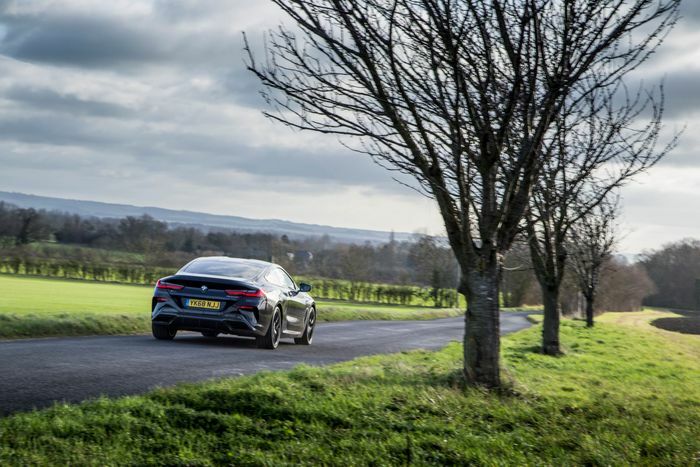 It has more bite from its front end, a more aggressively set-up all-wheel drive system and the option to disengage drive to the front wheels entirely for tyre-slaying shenanigans. Yes, it’s a saloon and not a coupe, but don’t forget, an 8-series Gran Coupe is on the way to blur the lines between these two cars. I’d expect the M8 to feel much the same as the M5, so should you wait around for one of those instead? Actually, I’m not sure I would. A weapons-grade chassis and drivetrain is great and all, but I like the idea of having most of that grunt in a car that’s extremely comfortable while still being devastating effective cross-country. And that’s before we talk about the way the new 8er looks - it’s somehow mean, beautiful and striking all at once. The M850i is not perfect, but for a car that lets you (almost), have it all, perhaps £110k isn’t so bad after all. Recommended car throttle shop Worldwide Shipping In The CT Shop Car Throttle Submit Your Videos To Get Featured On Our Social Channels Features Lamborghini Aventador S Review: The Last True Supercar? Features The BMW 8-Series Works So Much Better With A Diesel Engine Features Icon: Where Broncos, FJ40s And More Go To Be Reborn Features Bentley Continental GT Review: Incredible Driving Tech Meets Beautiful Craftmanship Features Renault Megane RS 300 Trophy Review: The 'Final Form' We’ve Been Waiting For Features Suzuki Jimny Review: A Retro All-Terrain Hero That Works On The Road (Just) Features BMW Z4 M40i Review: A Big Improvement, But Still No Boxster Features 2020 A90 Toyota Supra By Numbers: How Does It Compare To Rivals?